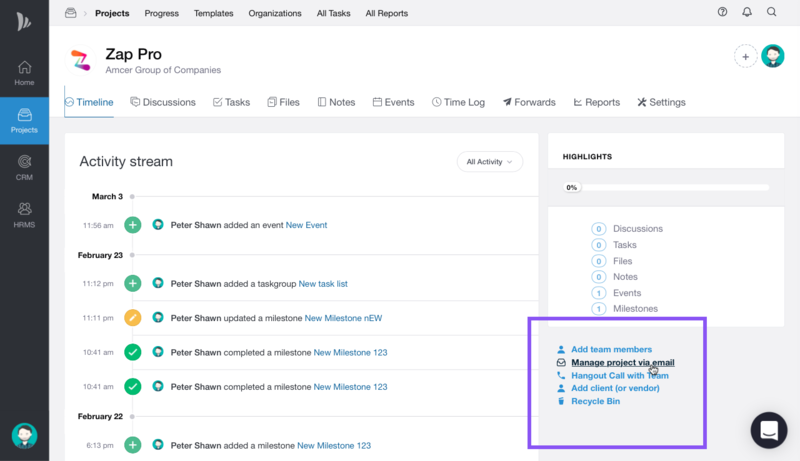 Tasks and Tasklist enables you to keep you on track and accomplish your project goals with options like setting due dates and assigning. Tasklists and tasks can be added and managed from Tasks tab in a project. A new Takslist and tasks for a project can also be initiated with an email from your mailbox. This gives the flexibility to leave a message without even logging into your TeamWave account. 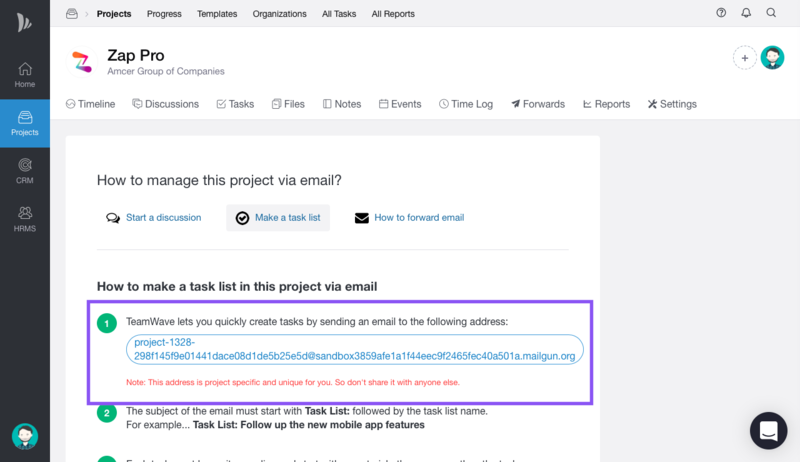 To add a task list and tasks from your mailbox, first, you need to copy your project specific smart email address from Email Docs (Ref Pic 1.1 & 1.2) tab in that project. This address is project specific and unique for you. You cannot add task for an existing tasklist in a project. The smart email address is unique for every project. Everyone in the project will have access to the project-specific smart email address. Also see how to initiate a discussion with an Email.